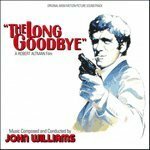 The first image on the page is for John Williams - The Long Goodbye, limited-edition CD, followed by the original. Also check out the most recent parody covers submitted to the site. Take your racism back to hell where it belongs, Fox News Hilljack! Why is it racist? Because Obama is merely black? What if this parody title went with an outgoing white President? You're the racist or idiot, take your pick. We know how YOU think!